Dehydrated Skin Wrinkles: How Dehydration Affects Your Face? Dehydrated skin can happen at any age which may cause wrinkles & fine lines. In this article, know different ways to manage dehydrated skin wrinkles. What are Dehydrated Skin Wrinkles? When a person loses more water from their body than they are taking in, they become dehydrated. Approximately 45 million Americans suffer from skin disorders. Some experts believe that as many as 75% of the U.S. population also suffers from dehydration. Chronic dehydration is linked to dry skin, wrinkles and other skin problems. We lose water from our skin when we perspire, when we sweat and through surface evaporation.It becomes harder for water to enter our cells as we age. Your skin reflects the health of your cells. If your cells are healthy, your skin will be supple and glowing. Your body must prioritize its use of water when it becomes dehydrated. Priority is given to your vital organs, such as your liver, brain and lungs. Your skin is not considered to be high priority in comparison to your vital organs. When your body doesn’t have enough water to replace the water lost throughout the day, you become dehydrated. Dehydration is often caused by illness or when you don’t have access to safe drinking water, such as when you are travelling, hiking or camping. Severe, acute diarrhea that comes suddenly and severely can cause dehydration. That is why it is so important to keep yourself hydrated. If you develop a fever from an illness, you can become dehydrated. The higher the fever, the worse the dehydration. Since you lose water when you sweat, excessive sweating also causes dehydration. When exercising or doing heavy work, you need to keep yourself well-hydrated. When you urinate a great deal, you sometimes become extremely thirsty and dehydration can occur. 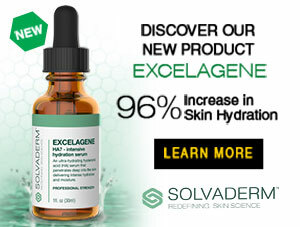 What are the Effects of Dehydration on Skin Wrinkles? When your cells become dehydrated, your skin becomes dry, flaky and wrinkled. 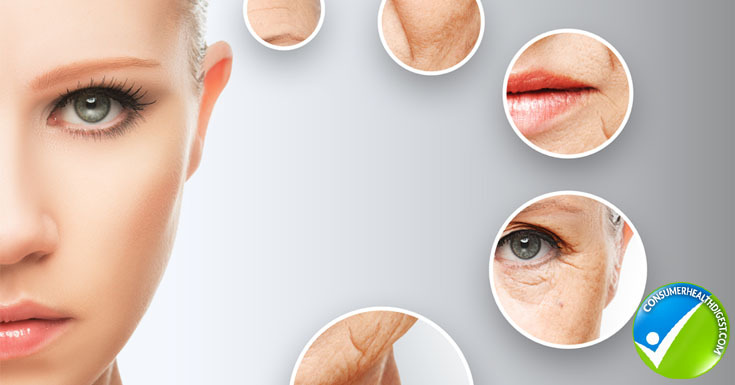 Skin wrinkles lose their elasticity as you age. This is due to a lack of mobility of water inside the body. The primary connective tissue of the skin is collagen. Collagen is mostly water. When collagen becomes inadequately dehydrated, the strands start to crack and they become joined together. Wrinkles begin to form on the surface of the skin. Remember, your skin is the largest organ on your body. Your body rids itself of toxins through your skin. However, you may peep into the best wrinkle cream which may support to provide healthy skins. What are the Dehydrated Skin Signs and Symptoms? Skin dehydration symptoms are very similar to sunburn. Skin may feel tight and patients sometimes experience a burning sensation. Dehydrated skin doesn’t always heal as well as healthy skin. It gets flaky and develops dry lines. Extreme itching is a common sign of dehydrated skin. Itching can become painful and the skin may become red. You can dehydrate your skin by taking extremely hot showers or baths. Your lipids break down and your skin cracks when you take extremely hot showers and baths. Beware of certain soap, deodorant and sanitizing products, which can rob your skin of its natural moisture. If you are looking for the eye creams, then you may try Plexaderm for reducing wrinkles and fine lines. According to the Mayo Clinic website, mild to moderate dehydration can be treated simply by drinking more fluids, but people who present with severe signs of dehydration should seek immediate medical treatment. Watch out for symptoms such as extreme thirst, lack of urination, shriveled skin, dizziness and confusion. Children and older adults should be treated with greater caution. Look for symptoms of severe diarrhea (with or without vomiting or fever), bloody stool, moderate diarrhea for three or more days, inability to keep fluids down, irritability or disorientation and other signs and symptoms of mild to moderate dehydration. How to Manage and Treat Dehydrated Skin Wrinkles? 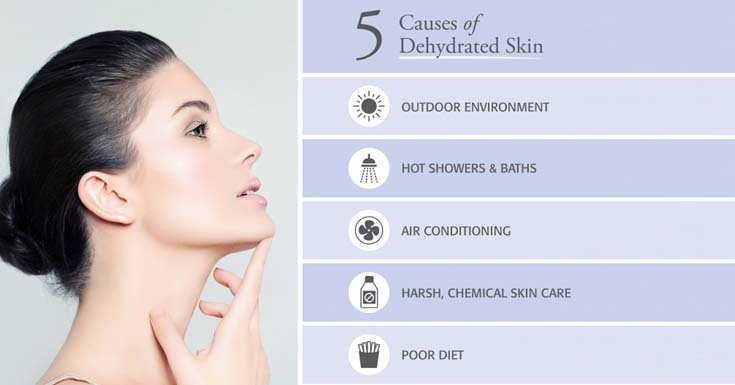 In order to treat dehydrated skin, it is important to understand some of the general causes of it. Poor cleansing with harsh soaps, cleansers and abrasive scrubs can contribute to dehydrated skin. Make sure you’re cleansing regularly with a good cleanser. Overuse of certain products, such as benzoyl peroxide, hydrogen peroxide and retinoic acid can cause skin damage. Limit how often you use these products to avoid dehydrated skin. Your skin does not require a lot of exfoliation. If you over-exfoliate, your skin can become dehydrated quickly. Your skin will also become dehydrated if it lacks moisture. Make sure you are using good-quality moisturizers on your skin. However, at times you might consider anti wrinkle creams such as Jeunesse Instantly Ageless. When we often think of dehydration, we think of a serious medical condition that sometimes requires professional medical attention. It is easy to forget about the possibility of your skin becoming dehydrated. Negative things may be happening with your skin when it goes into dehydration and you may not realize what is going on. Be on the lookout for signs and symptoms of dehydrated skin. If you see signs and symptoms, start treatment to reverse the negative effects immediately. Seek medical attention if necessary.